Enjoy the Fourth of July Fireworks by the sea or trick or treat under the sea. Shop a quaint open air holiday market in an oceanfront park. See an island of lights display and watch a flotilla of lighted boats glide by. Stop by the beach ball drop on New Year’s Eve. 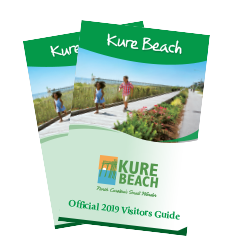 Come and celebrate your favorite holiday at Kure Beach.